Updated For The New Year 2019 – 1/16/19. In business the need to innovate is not only crucial for success, but survival. Coaching volleyball is similar to business yet many high school, club programs, and summer camp vendors don’t understand this critical fact. The result is they begin a downward spiral of losing or worse yet, creating a culture where youth players do not want to participate in a sport with astounding national growth and popularity. This blog post shares Volleyball1on1’s thoughts on Bruce Lee’s advice on the subject, plus points out areas where you may want to consider taking advantage of the tremendous innovations we are making in the sport of volleyball! As of today, 1/16/19, Volleyball1on1 has filmed over 2500 videos with the best players and coaches in the world. The Volleyball1on1 Coaching Curriculum adapts the most powerful coaching ideas into an easy to use format specifically tailored for high school and club programs. As a coach when reviewing new ideas: “More is not more!” because as a teacher, parent, and / or coach your most precious resource is time. Who has the time to go through 1,000’s of articles and videos to find only a few coaching nuggets. Are you looking to streamline how you run your practice. The Volleyball1on1 Practice Plan Outline Poster is a large 24″ by 36″ inch poster that you place on your practice board or a wall in your gym to streamline practice. The poster is laminated and works in conjunction with the Volleyball1on1 Practice Formula and the 31 practice plans in the High School Head Coach Volleyball1on1 Coaching Manual. This poster makes planning and running a practice easier by having all the most important practice headers already written out, including: Life Theme, Practice Theme, Announcements, Team Building, Skill Building Warm-Ups, Breakout Sessions, Blocking Trips, Mini-Games, Butterfly, Tutor Topics, Verbal Cues, 6 on 6, Individual And Team SOS – Stress Output Score ™ and more. Our Practice Plan Outline Poster also includes mini-game tables built into the poster to make practice planning fast and easy. These laminated posters for dry-erase use, can be used all season, and can help lower skilled coaches deliver their next practice with confidence and excellence. * Poster Available To 2019 Summer Camp Clients Only. Volleyball1on1 Game Plan Offense Poster is a large 24″ by 36″ inch poster that you place on your practice board or on a wall in your gym to help manage your offense, specifically how you work on rotations. As all coaches know you tend to have 3 good, 2 bad, and 1 OK rotation with all teams. Our job as High School Head Coaches is to work out the appropriate balance and improve the areas we are weakest while maintaining the areas we are strongest. 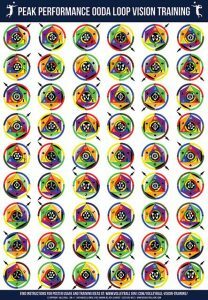 This poster offers a number of ways to measure and improve your offense by rotation. Both posters have never been offered in the sport of volleyball until now and bring many important concepts and strategies used at the collegiate level in an easy to use format for high school volleyball. Science has proven that correct doses of stress on the human body results in growth, both mentally and physically. Great High School Head Coaches understand this powerful facilitator to human growth. These coaches have learned how to purposely stress an athlete in practice without hitting the point of physical or mental break down. Finding the correct dose and working with athletes to this point is one of the most difficult jobs as a High School Head Coach in our opinion. Push them too much they hate you and you get fired, while pushing players too little starves them of the opportunity to grow as people, and ultimately, they choke under pressure during playoffs and then later in crucial life success moments. Helping support youth players learn important coaching points that establish your team culture is an important focus during camp week for launching your team culture. When those coaching ideas also teach valuable life lessons and turn parents into advocates of the program this is even more valuable. Volleyball1on1 Player Empowerment Cards are wallet size cards players take home to help them learn, be inspired, and change their mindset. This powerful tool often used by self-help experts to motivate and inspire can work just as effectively for your program and players to establish a powerful new culture. Parents who see the cards also tend to become advocates and raving fans of the program as they see your program is focused on: It’s Bigger than Volleyball ®. Hip and cool matters. We found kids are tired of getting camp shirts and looking for something better and more useful. Our new Volleyball1on1 Logo Baseball Cap check all the boxes and offers this benefit! The 2019 Volleyball1on1 Coaches Manual has been significantly improved based upon for our High School Head Coaching based on their ongoing feedback. Our manuals sole focus is on utilizing our Superior Coaching Systems ™ for your program at the high school and club level ONLY. One of our distinct advantages is our tools, systems, and resources in our Volleyball1on1 Coaching Manual are specifically tailored for High School Head Coaches and Club Directors. * Manual Available To 2019 Summer Camp Clients Only. The 2019 Volleyball1on1 Coaches Manual has updated and improved the 31 practice plans in the manual and now works seamlessly with our new: Practice Plan Outline Posters, Game Plan Offense Posters, and SOS – Stress Output Score ™ for individual players and the team. * Practice Plans Available To 2019 Summer Camp Clients Only. 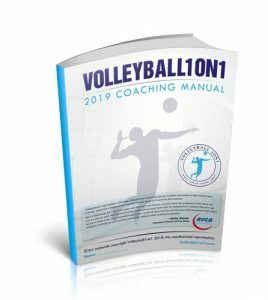 The 2019 Volleyball1on1 Coaches Manual has updated and improved beach volleyball coaching content. This includes 4 new offenses, plus a number of edits and improvements to the content. Also the Volleyball1on1 “What Great Looks Like!” ® – Beach Playing Standard. * Beach Coaching Manual Available To 2019 Summer Camp Clients Only. 80% of business fail in the first 5 years, 96% fail in the first 10 years, when they do not have a system for doing business. In business format franchises (which are the most common type of franchise), a company expands by supplying independent business owners with an established business, including its name, and trademark. The franchiser company generally assists the independent owners considerably in launching and running their businesses. In return, the business owners pay fees and royalties. In 2018 Volleyball1on1 created the first Business Format Franchise for volleyball coaching. We call it Superior Coaching Systems ™. This system is a complete system top to bottom for high school programs and youth club programs. High School and Club Programs run a Volleyball1on1 Summer Camp or Weekend Club Clinic with us annually or bi-annually. In return you get a two year license of our Coaching Manuals, Tools (Posters), Coaching Systems, and Trademarks. – Kathy Deboer, Executive Director Of The AVCA. 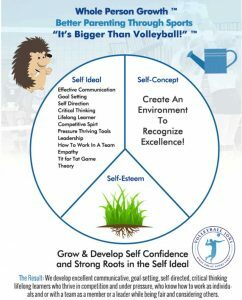 The hedgehog concept is one of the most powerful, proven ideas in business which Volleyball1on1 has innovated upon and applied to volleyball coaching for the first time in history. “Are you a hedgehog or a fox? 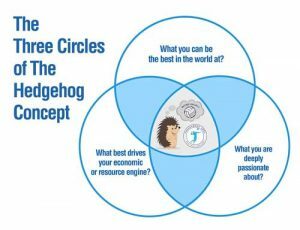 In his famous essay “The Hedgehog and the Fox,” Isaiah Berlin divided the world into hedgehogs and foxes, based upon an ancient Greek parable: “The fox knows many things, but the hedgehog knows one big thing.” – Jim Collins, Good To Great! 1) What you can be the best in the world at? 2) What you are deeply passionate about? 3) What best drives your economic or resource engine? “Transformations from good to great come about by a series of good decisions made consistently with a Hedgehog Concept, supremely well executed, accumulating one upon another, over a long period of time.” – Jim Collins, Good To Great! Andor Gyulai is the most popular instructor in the world on “Volleyball Spiking Technique” and his Volleyball1on1 trained coaches will teach your players and coaches his systems on teaching this skill. We are unique and have been highly innovative in this area creating an easy to follow step by step manual / videos for coaches such as yourself. We also offer a unique prop known as a “Passback Football,” in our camps to help accelerate the learning of this technique plus help develop power and reduce injuries using this technique. Volleyball1on1 also offers a series of innovative verbal cues that combine teaching arm-swing with footwork. This is something no one else offers that we know of. Volleyball1on1 Is the only summer camp which offers a scientific proven winning formula top-to-bottom for your high school’s success on and off the volleyball court! Called “What Great Looks Like!” ® this scientific proven winning formula acts as your compass as it relates to how your team looks and plays on the court, the team culture, and the staff coaching standard on what and how we collectively teach your players. “What Great Looks Like!” ® is based upon the 60-30-10 Rule (by Richard J Hackman’s) and what this means is during camp week we establish and launch how your program looks, plays, behaves, and coaches. All you need to do is continue to steer the ship towards your dream season results! Below is a video of Andor Gyulai teaching “What Great Looks Like!” (™) – The Volleyball1on1 Playing Standard to a group of club players at a camp. We train coaches and players on our unique proprietary “Peak Performance OODA Loop Vision Training Posters,” which will help players with “Reading the Game,” “Slowing the Ball Down,” and “Slowing the Game Down.” We are unique and have been highly innovative in this area creating an easy to follow step-by-step manual / videos for coaches such as yourself to help exercise the most important muscles in your body for volleyball. Namely your eyes. Japanese Jump Float Slide Serve is one of the most effective serves in women’s volleyball. The serve is incredibly consistent due to the very low consistent toss plus the serve can be served with as much power as a regular jump float serve. The serve also offers the opportunity for a far more deceptive “Change up,” short serve than most traditional jump float serves. Volleyball1on1 is unique being the only volleyball camp organization to effectively incorporate the coaching of this serving technique in all camps as far as we know. Richard Hackman, a former Harvard psychology professor and the author of 10 books on group dynamics, devised what is known as the 60-30-10 rule, which focuses on how leaders can most effectively manage their teams. The crux of the rule is that 60% of the variation in team effectiveness is attributable to the design of the team or culture, 30% to the way the team is launched, and 10% to coaching or management once the team is underway. In implementing Hackman’s rule, we help foster your team culture using our proven systems and launch your culture and season during camp week. Then we continue to support you over the course of the season to address the inevitable challenges that arise. “Reading the Game” is the biggest change in Volleyball Coaching in the last 10 Years. Each volleyball skill, serving, passing, setting, blocking, spiking, and defense is taught starting with “Reading the Game” and the “OODA Loop for Volleyball.” We are unique and have been highly innovative in this area creating an easy to follow step-by-step manual for High School Head Coaches. 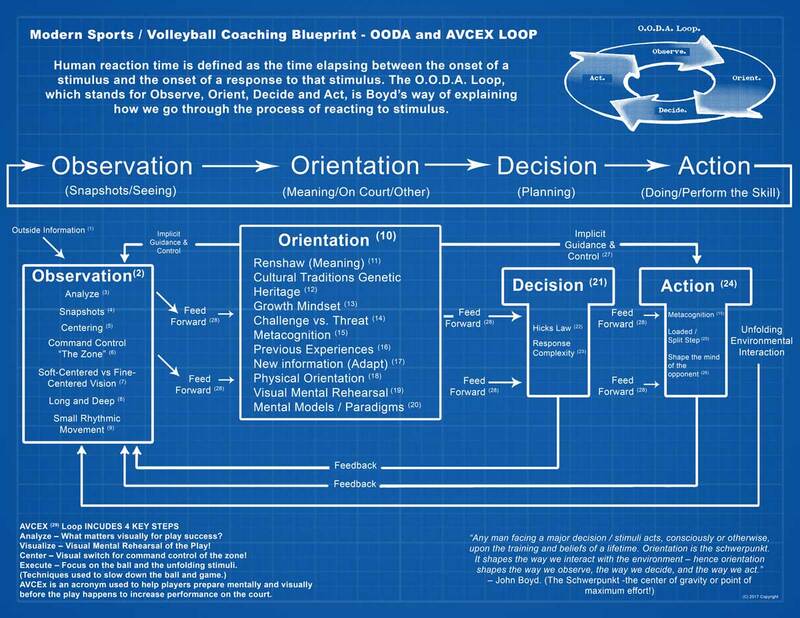 Volleyball1on1 OODA Loop Volleyball Vision Coaching Blueprint – This diagram represents 6 years of research and piggie backs on over 65 years and billions of dollars of research in aerial warfare, vision training for sports, and scientific research on motor learning and human reaction to outside stimuli. Each volleyball skill, serving, passing, setting, blocking, spiking, and defense is taught starting with a “Focus on managing pressure and dealing with stress!” We are unique and have been highly innovative in this area creating an easy to follow step by step manual / videos for coaches such as yourself. Volleyball1on1 Co-Founders Andor Gyulai and Vanessa Summers have an extensive background in motivational speaking and business consulting. Having partnered and worked with people like Jariek Robbins (Son To Mega-Motivational Speaker Tony Robbins). Andor and Vanessa bring a unique approach to coaching the sport of volleyball. By following their proven Superior Coaching System ™ and applying the “What Great Looks Like!” ® Coaching Concept, coaches will develop more than just great volleyball players. The result: We develop excellent communicative, goal-setting, self-directed, critical thinking, lifelong learners who thrive in competition and under pressure, who know how to work as individuals and/or with a team as a member or a leader while being fair and considering others. Indoor volleyball is the most popular girls sport in high school in the United States with over 450,000 high school participants per year. Youth club volleyball has also expanded to unprecedented levels with almost 250,000 paying participants. Sadly, many of these young players do not continue to play and enjoy volleyball after high school and even after playing high level college volleyball. The “Keep Playing Volleyball!” ™ goal is to have young players continue to play and enjoy volleyball beyond high school and college. To “Keep Playing Volleyball!” ™ for life. Volleyball1on1 offers a proven system we introduce at our one-of-a-kind Volleyball1on1 Summer Camps to help with this. In 2009 Andor Gyulai and Vanessa Summers launched the first Online Volleyball Coaching Website in the world for online volleyball instruction. Volleyball1on1 were pioneers in this area and today offer a library of over 2500+ instructional coaching videos, drills, practice plans, workouts and more. “Our vision with Volleyball1on1.com is to give volleyball coaches and players around the world instant access to easy to consume instructional videos, drills, practice plans, training / workouts, online courses, and online lessons / evaluations from the absolute best players and coaches in the world. Growing up outside the United States in South Africa, I never had access to coaching from the best. Now Volleyball1on1.com has changed that forever! With Volleyball1on1.com you can have coaching legends, Olympic gold medalists, NCAA MVP’s, AVP and FIVB beach champions personally share their insider secrets that made them and their players the best! There is simply no better resource for learning beach and indoor volleyball online!” – Andor Gyulai, Founder & Owner of Volleyball1on1.com. Are you a High School Head Coach or Club Owner / Director are you adapting and incorporating what is useful? Are you rejecting what is useless? Are you adding what is specifically your own? We at Volleyball1on1 can help you very quickly change and grow in dramatically positive ways as a coach and a program toward your goals. If you are interested in learning more about our High School Volleyball Camps or Weekend Club Clinics Schedule a call. In the call we will review your goals and if a Volleyball1on1 Summer Camp can help you reach them. * Most of the ideas / products and tools listed here are available for use only by Volleyball1on1 Summer Camp and Weekend Club Clinic clients. You must run a camp and have permission to use the ideas presented above for your program.